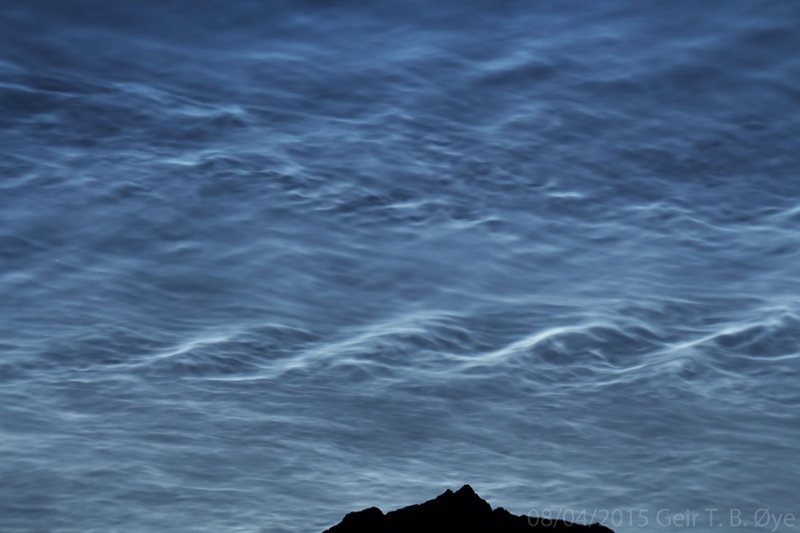 Noctilucent Clouds 4th August, 2015. The northern sky was electric blue-white in the early hours of August 4, 2015 because of a beautiful display of noctilucent clouds. 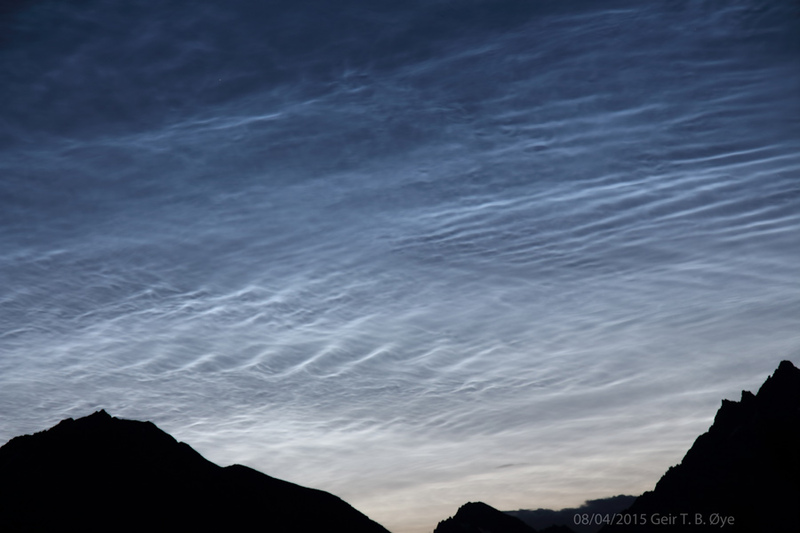 Beautiful NLC structures over the mountain peaks. Here is a photo of the display taken on August 4, 2015. This entry was posted in Astronomy, Atmospheric Optics on August 19, 2015 by admgeiroye.